For all you who comment that you could never hit one of our piñatas, join the club. We hear that all the time. A lot of folks use our piñatas in their home decor, often times hanging them like they would any pendant light, or as wall art. 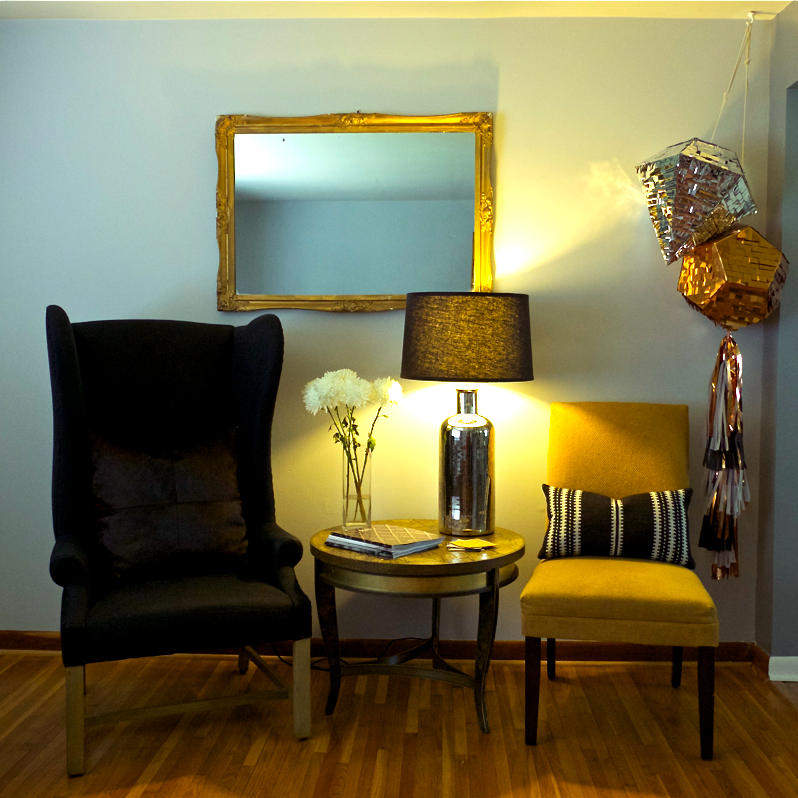 We loved how this trendy Nashville home makes the most of a little corner with their piñatas. Incorporating their home colors of grey and black in the tassel tail blends well with the copper metallic, turning it into an intentional interior design decision.